Location – Ouroux en Morvan, France? Additional Information – The estaminet (small bar, cafe or bistro) is still standing but has been converted to a private house. See John Dray’s video for more information. Just click on JOHN DRAY and advance the video to a position 5.30 on the scroll bar. We would like to thank Michael Leventhal of Frontline Books for allowing us to copy this photo from Ian Wellsted’s book “SAS with the Maquis”. 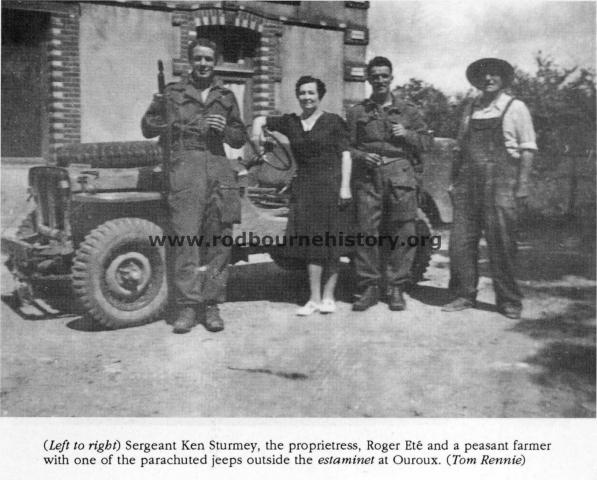 Ian was Ken Sturmey’s Commanding Officer during “Operation Houndsworth” in France.